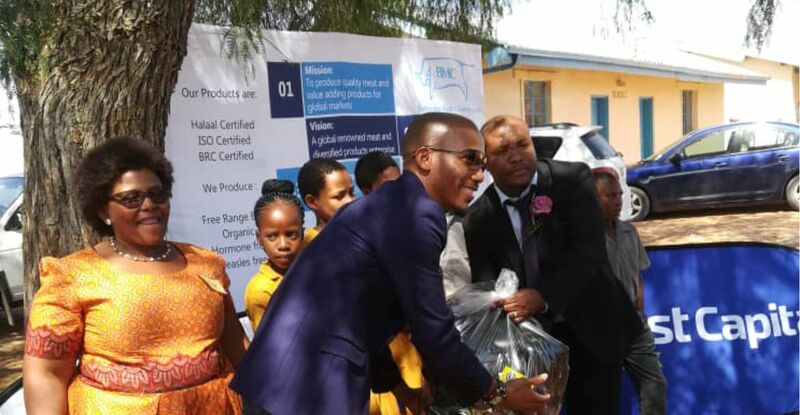 On the 26th of October, First Capital Bank Botswana donated school uniforms to more than 60 Bogogobo Primary School students in Bogogobo village. The donation is in-line with the Adopt-A-School Programme championed out by the then Ministry of Education and Skills Development to seek assistance from the community and corporates to lend a helping hand in the development of Education in Botswana. The donation is valued at P25,600.00. This handover is one of the Bank’s focus in supporting education, vulnerable and disadvantaged groups. The donation aimed to change the lives of the students of Bogogobo Primary School as it looks enhance the learning experience of students. “We are proud of the impact this donation will make, a small gesture towards something we are very passionate about: the education experience and its ability to transform lives. Through First Capital Bank Botswana Corporate Social Responsibility, our aim is to also bring greater positive exposure to the community as we believe in changing people’s lives for the better. It is our sincere hope that through our continued efforts, many more lives will be impacted for the better and a greater impact on our communities will be experienced,” concluded Viljoen.